With the highest paying stallion incentive fund, stallion owners are encouraged to participate in the NSBA Stallion Incentive Fund (SIF) program by donating one breeding to be sold to mare owners. "A total of 4023 points were earned by Stallion Incentive Fund Licensed horses in 2018 at Dual Approved and Special event shows with each NSBA point earned paying $33.68." 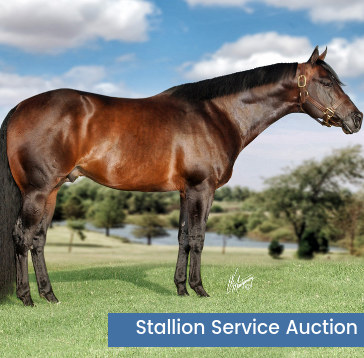 Beginning October 1st all stallion breeding services will be offered to the highest bidder through an online auction. Breeding fees start at half the advertised price plus $100 and will be available to the highest bidder up to the "Buy It Now" price through traditional online bidding. Horses not sold through the online auction period will then be available to "Buy It Now" at half their advertised fee plus $100. The minimum fee for a stallion to sell, is $400 ($300 minimum breed fee plus $100 administrative fee). The minimum fee for stallions standing private treaty, or not at all to the public, is $700 ($600 private treaty breeding fee plus $100 administrative fee). The mare owner must be a current NSBA member to purchase a stallion breeding. The stud fees collected are place in a special fund to be distributed later in the program year. The stud fees, less administrative fees, are paid out each year in Dual Approved classes through the SIF Licensing Program. Each year stallion owners will receive 10% of their enrolled offspring earnings based on NSBA points earned. All SIF licenses horses are eligible to earn incentive fund points based on Dual Approved and Special Events shows where NSBA points are earned. Payout is based on the purse of sold breeding for the current year. In 2018, the SIF payout was $33.68 per point. All NSBA points earned in Dual Approved and Special Event Open and Amateur classes will be paid out. In addition, only horses enrolled in the SIF are eligible to earn Smart Points. Any stallion not enrolled and sold in the Stallion Incentive Fund program may grandfather into the program any year following the foaling year for a fee of $800, beginning January 1. All offspring from that foaling year would the be eligible for licensing. If the grandfather fee is paid by a person other than the stallion owner, a waiver from signed by the stallion owner must be submitted to the National Snaffle Bit Association.